Roma inclusion is of strategic importance, yet the topic continues to suffer from lack of analysed data and clearly identified results and tendencies that can form the basis of policies in this area. 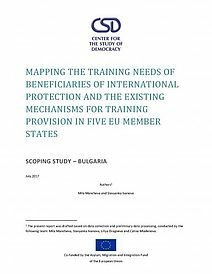 The methodology developed by the Centre for the study of democracy serves to overcome this deficit and presents data on the tangible and measurable effects of investments in Roma communities. 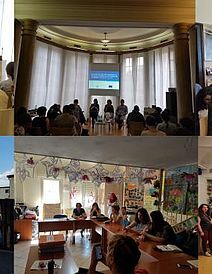 On 21 January 2016, the Center for the Study of Democracy held a public discussion on the efficiency of public investments in Roma communities at a municipal level aiming at creating a debate on the opportunities, challenges and best practices in investments in the Roma communities, as well as ways to increase their levels and effectiveness. 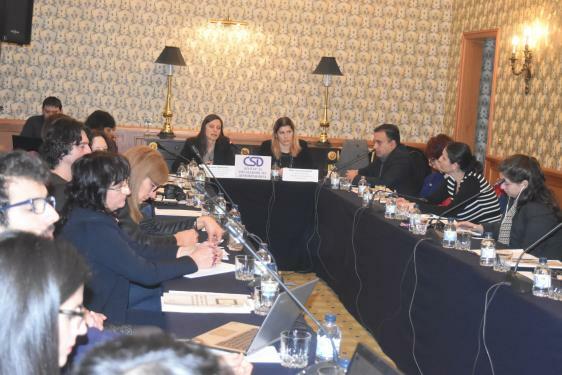 The discussion was attended by representatives of local institutions and public administration, NGOs and Roma organisations. 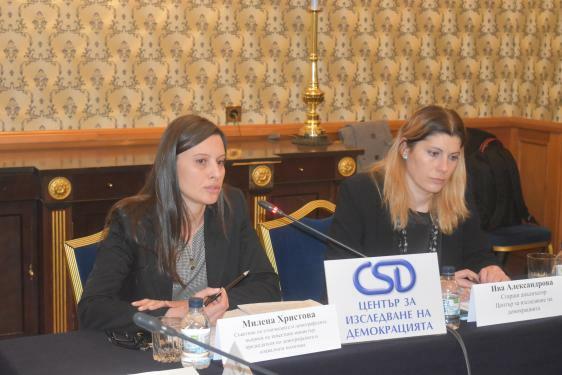 The event was opened by Ms Milena Hristova, adviser on Ethnic and Demographic Issues to the Deputy Prime Minister on demographic and social policy at the Council of Ministers and Ms Yva Alexandrova, Senior Analyst from the Sociological Program of the Center for the Study of Democracy. In her opening remarks, Ms Hristova emphasized on the importance of Roma inclusion and outlined the main issues which substantially affect the Roma community and will be covered in the new programming period of the Human Resource Development Operational Programme. The administration promotes an integrated approach at a municipal level combined with an individual approach for each district with compact Roma community will be developed. Among the mentioned specific measures were the scheme for socio-economic inclusion of vulnerable groups which will distribute about 80 million leva, the regulation of construction in the neighborhoods and the need to have a set of measures for issuing tolerance status, providing new terrain and controlling illegal construction, difficulties in attracting children in kindergartens and the role of municipalities in determining the fees, ensuring the sustainability of mediation and lack of health insurance. Ms Alexandrova presented the study in the town of Kavarnaand highlighted some of its results. The most visible effects of public investments are in the areas of improving infrastructure and access to public services, improving the quality of living conditions and bringing them closer to those of the Bulgarian population in the town, reducing the levels of poverty and social exclusion and a significant reduction in the levels of criminality in Kavarna municipality. The results in the field of health, education and employment do not reveal clear trends and show both good and not so successful measures. She stressed the interaction between the Roma community and the municipality as an important element for the success of the investments. After the presentation of the study results, Mr Gancho Iliev from the partnering association "World without Borders" shared his impressions from the attitudes of local communities and their evaluation in terms of integration policies. Mr Iliev emphasized on the importance for the community to realize the need for inclusion and development of its potential, which can prevent its consumerist attitudes. He gave Kavarna as a good example where Roma operate independently with institutions, pay their taxes and bills on a daily basis and experts in the institutions accept the community as equal and do not discriminate them. 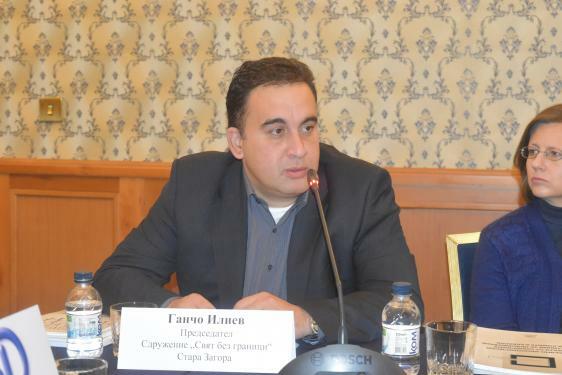 Mr Iliev called the Association of Municipalities to support the steps in provision of land for Roma to build houses legally and using own resources following the example of Kavarna, recalling the example of Radnevo, where were built the first social houses, but due to bad management they are already in poor condition. Ms Anelia Dudinova, Community Development Coordinator of the Center for Interethnic Dialogue and Tolerance "Amalipe" shared the experience of their organisation in working with parents and children at risk of dropping out of school. 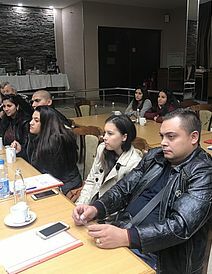 As a positive example she cited the town of Elin Pelin, a quarter of which is with Roma population in which the municipality is committed to the employment of Roma in local businesses, all children complete secondary education and there are 10 Roma university graduates. 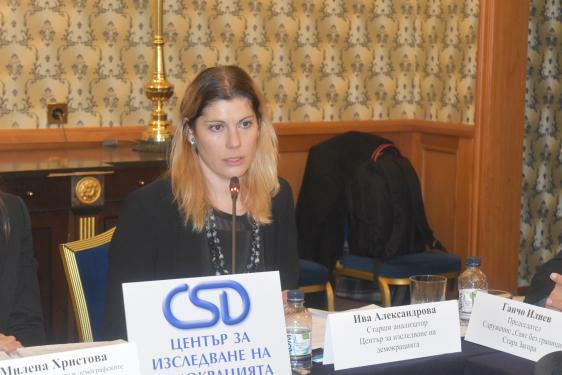 Ms Dudinova shared her observation that the Roma community is in the process of modernization and that in many municipalities, including Ihtiman, Samokov, Botevgrad, Etropole, there are experts from Roma origin who can be partners of the municipalities. 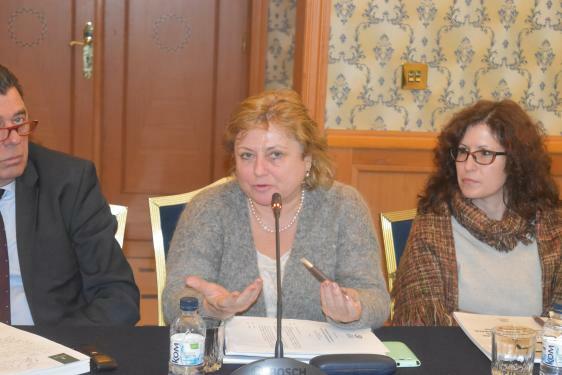 In the ensuing discussion on the conclusions of the report, Ms Daniela Ushatova from the National Association of Municipalities in Bulgaria expressed the view that the model in Kavarna shows how integrated policies and a combination of will and resources can lead to positive changes. From an economic perspective the measures of the municipality support the development of the local economy which continues to operate thanks to the construction of houses and hotels in the Roma neighborhood. Ms Ushatova informed that targeted funding is given for the development of general plans of municipalities due to the dynamic migration processes and outdated database. She focused on aligning the living conditions of Roma with the rest of the Bulgarian population as a long-term benefit with specific effects on fiscal and social payments. 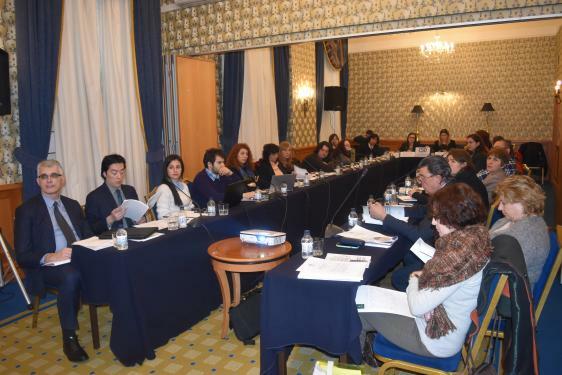 The negative coverage of the topic of Roma inclusion in the media was also discussed. Ms Irina Faion, head of the Bulgarian-Swiss cooperation program and the program to support social inclusion of Roma and other vulnerable groups, shared best practices on the topic of prevention of school drop-out and negative effects of migration on children from Glasgow, Ghent, Gothenburg and other European cities. 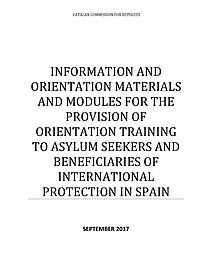 Among the main highlighted problems are the lack of information on whether children from migrant families are short-term or long-term migrants as well as the lack of documents certifying the class in which are the children. Ms Faion appealed for greater visibility of the positive examples of Roma inclusion in Bulgaria. Ms Hristova announced the results of a meeting on the development of policies to improve the living conditions in Roma neighborhoods. 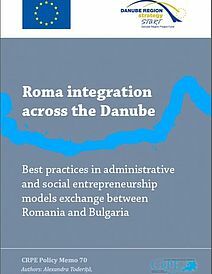 Among the proposals discussed are the adoption of an individual approach for each Roma quarter to reflect the specifics of the concrete situation; preparing and awarding several types of projects for construction of houses; making arrangements at national level to support municipalities by providing funding, legislative changes, support, changing land use and others. 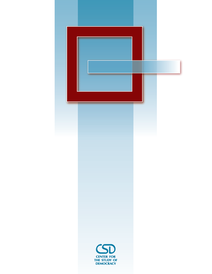 In connection with the proposals announced for the development of policies to improve housing conditions and other investments, Ms Alexandrova mentioned the importance of targeted data collection on key indicators regarding the conditions before making investments, which will allow measuring the effects of these investments at a later stage. 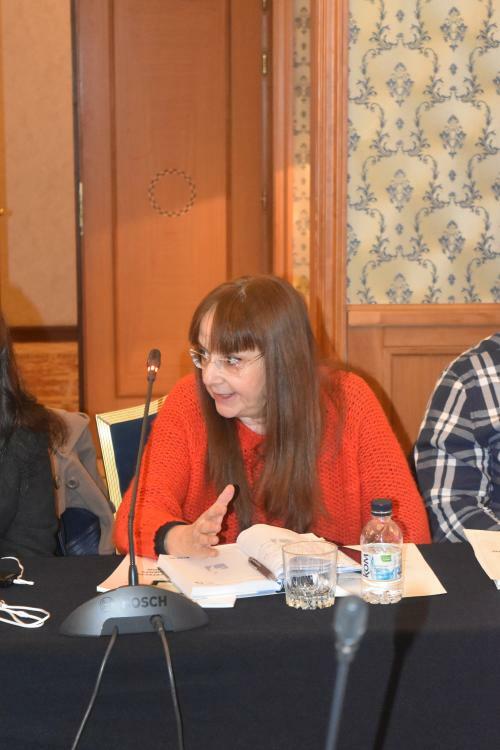 Ms Juliana Metodieva, editor of Marginalia, took a stand on the issue of negative media images of Roma and the hostile attitude of the media towards the community as a whole. She urged that the newly elected mayors be encouraged to solve the problems of Roma integration. 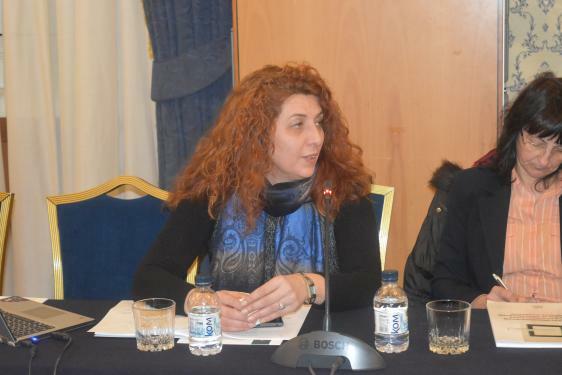 In this regard, Ms Alexandrova shared her experience with the study of public attitudes in different municipalities against the inclusion of Roma and the positive attitudes among Bulgarian community in Kavarna where the positive results are visible. 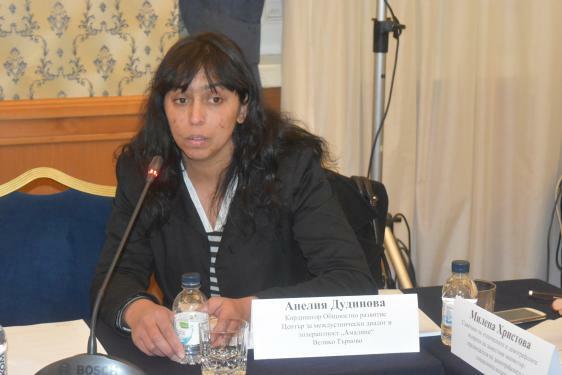 Ms Metodieva raised the question of the problems Roma community faces in the municipality of Sofia. 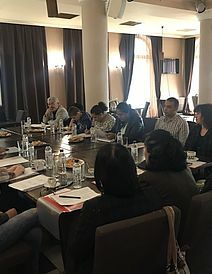 Ms Ushatova said that the social policy and poverty research in the Roma neighborhoods are among the main topics for the municipality of Sofia. Due to the complexity of the problems in the capital, the municipality has set up a team committed to study the status of families as a result of which they provide specialized assistance. An exchange of experience and good practices in solving the housing problems was carried out with local government representatives in Madrid. Ms Ana Topakbashyan from the National Council for Cooperation on Ethnic and Integration Issues informed on the impending construction of a system for monitoring and control of implementation of the National Roma Strategy and expressed willingness for the improvement of coordination between different departments of the administration. The discussion was closed by Ms Alexandrova who summed up the highlights and suggestions and noted the willingness of various stakeholders to accentuate the positive examples for the inclusion of Roma in the country and coordination in the development of specific measures appropriate to the needs of each municipality. The integrated approach of public investment is already part of the national strategy for Roma inclusion, and the source of many good practices. 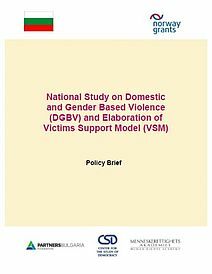 The public discussion was preceded by a press conference to present the results of the report. Обсъждат предизвикателствата и добрите практики при инвестициите в ромските общности, 21 January, 2016. Общинските пари, вложени в ромския квартал в Каварна, дават резултат, 21 January, 2016. Ромски експерти: Трябва ли да си платим, за да показват медиите добрите примери с ромите?, 22 January, 2016. 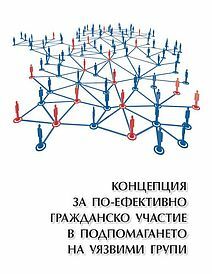 Участници в публичната дискусия на тема „Eфективност на инвестициите на местно ниво в ромски общности”, 21 януари 2016 г.